Not sure how to get a conversation started about real-time behavioral coaching? Let our free one-sheet do the talking for you. 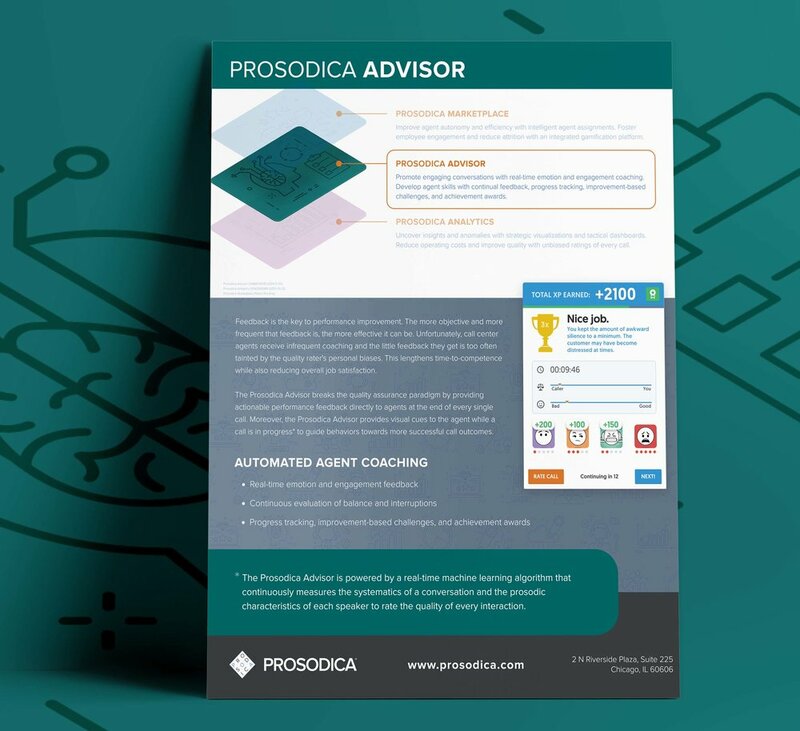 Click here for your free Prosodica Advisor one-sheet. If you enjoy this download feel free to drop us some feedback or request a personalized demo to see how Advisor can help you reduce operating costs.